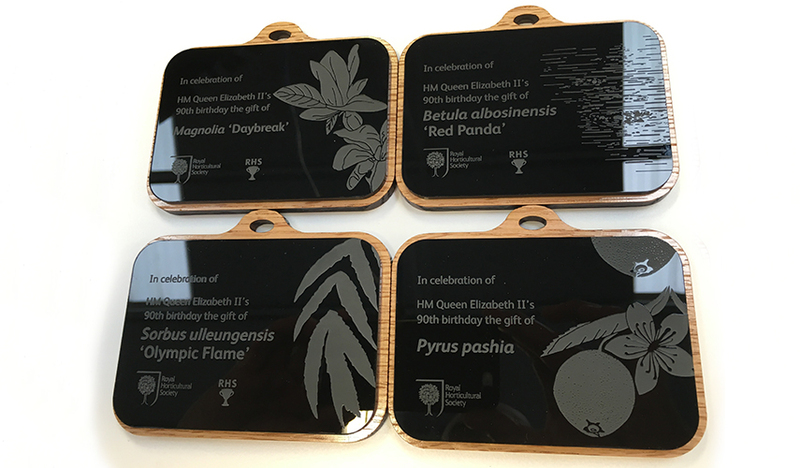 Buzz were honoured to assist with the design and creation of a bespoke book for RHS Wisley, which was presented by Jim Gardiner to HM Queen Elizabeth II at her recent visit to the Chelsea Flower Show. 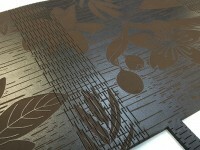 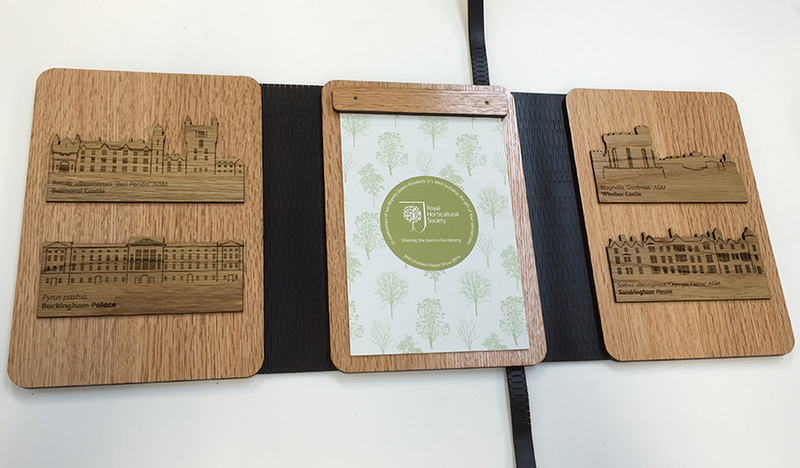 The book was presented with four very special saplings for each royal residence here in the UK. 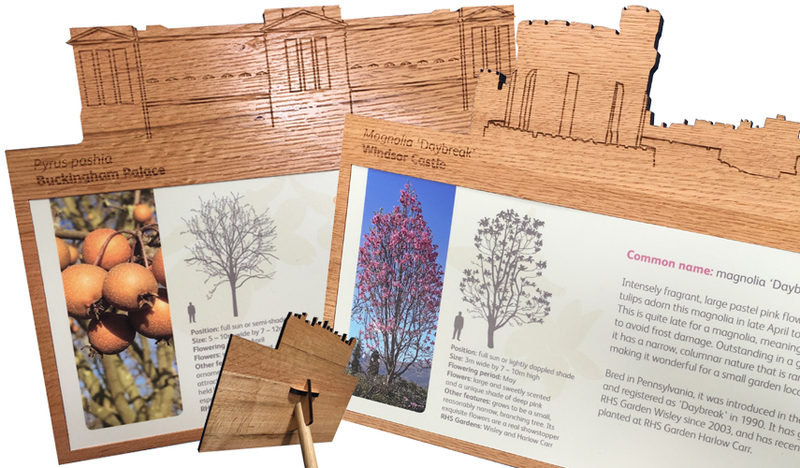 Balmoral Castle, Sandringham Palace, Buckingham Palace and Windsor castle each received a sapling to be planted in the grounds in celebration of HM 90th birthday. 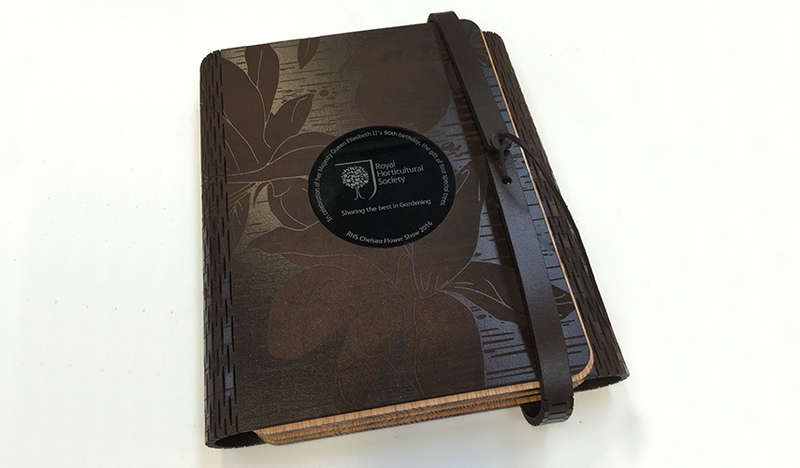 The book will now probably be safely stored in the Royal Archives (or her bedside table as we would like to think!). 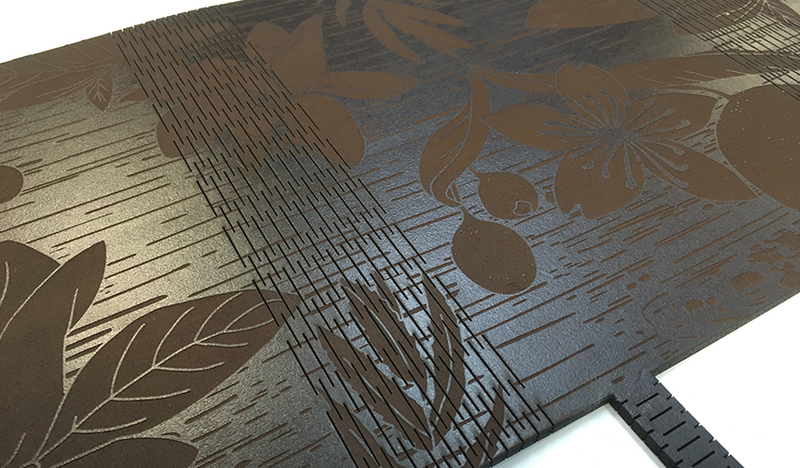 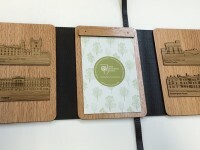 Laser engraved and cut bridal leather book with red oak leaves and English oak engravings of each palace or castle where each sapling will be planted. 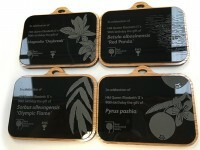 Custom made plaque to hang on each tree while on display at Chelsea flower show. 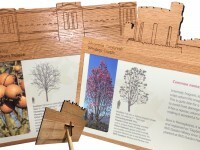 Custom made oak information posts for each tree.